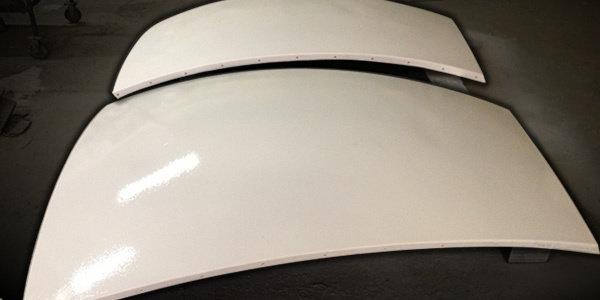 We were approached by a local company to refurbish a weather radar dome (radome). 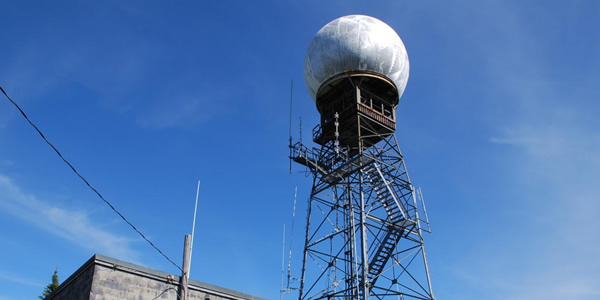 Because the radome was 100 feet high on a tower (like the one pictured above), we were unable to inspect the panels prior to receiving them at our facility. Normally, this would not be an issue; however, this was a time-sensitive project. 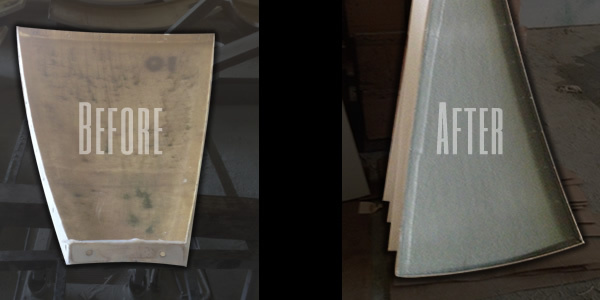 We did not know the extent of damage to each panel and had 10 days from receipt of the panels to complete the refurbishment. The radome was 18’ in diameter and consisted of 36 panels of various sizes and 1 round top panel. It was disassembled in the field by the customer and delivered to our shop. All panels were inspected and tested to determine which resin was most compatible. Then a scope of work to refurbish the panels was formulated. We began by sanding the inside of all panels, applied chopped strand mat and a corrosion barrier to the inside and finished with a gray gelcoat. The outside of each panel was scuffed and a specialized coating, supplied by the customer, was applied. After all panels were complete, our quality control department inspected each panel prior to packaging.